One thing that I find amazing (mainly because I can't sew) is the fact that they make everything by hand. Well, I mean they stitch it with a machine but my point still stands. They make it all! 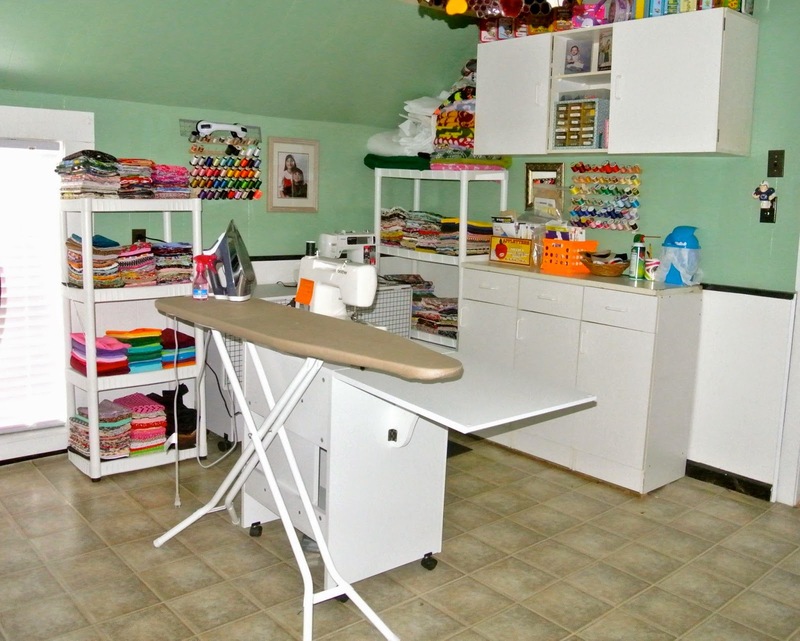 They make large tote bags, small purses, makeup bags, camera lens bags, and men's neckties. I'm sure as their skill-set grows their inventory will grow as well. Anyway - her Mom knows me prettttty well and gifted me this absolutely amazing purse. I think the whole family knows my not so secret obsession with skulls. Skull print on the front - UH YES PLEASE. 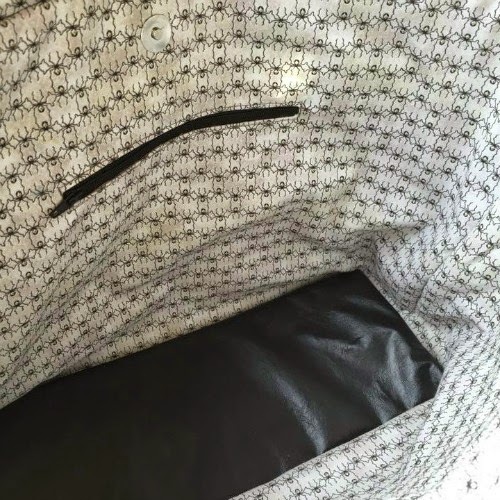 Seriously cute spider print lined on the inside - with the black patent leather bottom. 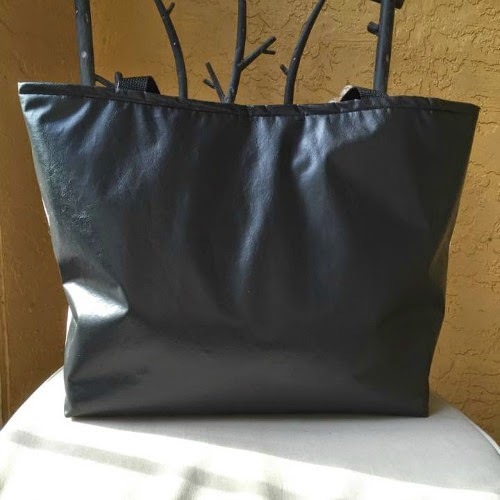 Back of the purse - lined in awesome black patent leather. Needless to say - this bag is AMAZING and totally me! Its large and will fit all my stuff. I'm definitely going to be switching bags like ASAP so I can tote (haha, get it?) this around with me. 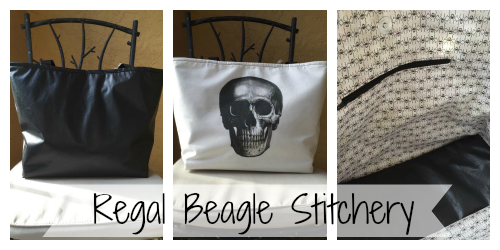 (*) This post has been sponsored by Regal Beagle Stitchery - all items were gifted to me and all opinions are my own. That's cute that it's a family affair! I like when I see families making something great together. 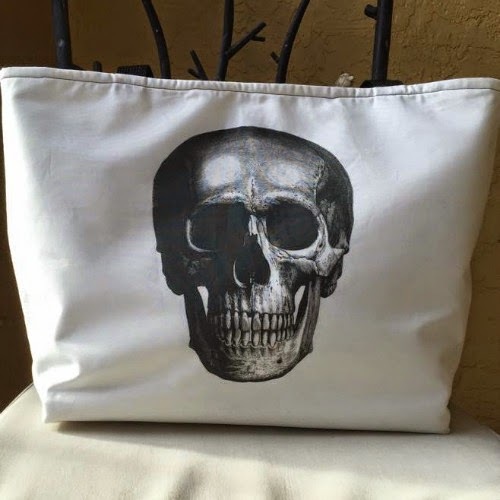 I also like skulls and that bag is cute! I'm obsessed with skulls and pirates and pretty much all things macabre! They are like a second family and they know exactly what I like. The whole family is pretty crafty or arts inclined! Those are some cool products! Awesome blog template btw! these are pretty awesome! i am going to have to look up her shop on etsy!